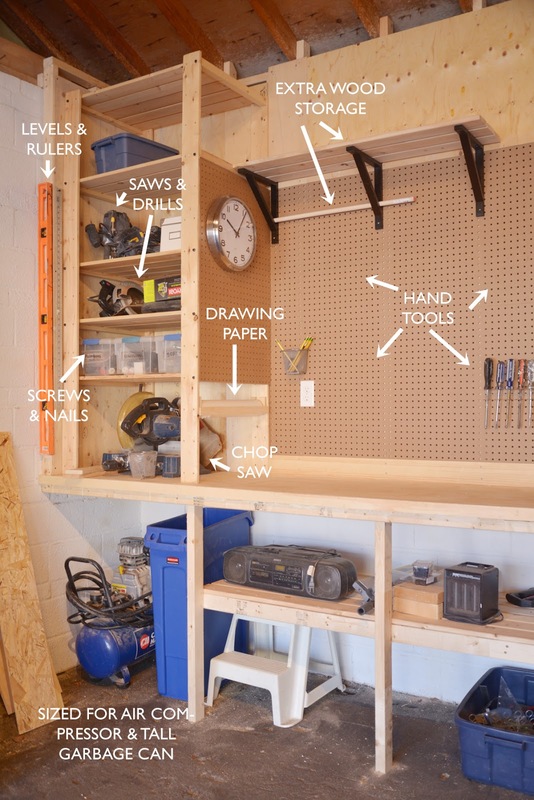 Sean has just about finished building his workbench and garage storage. To say he's excited about this space is an understatement. 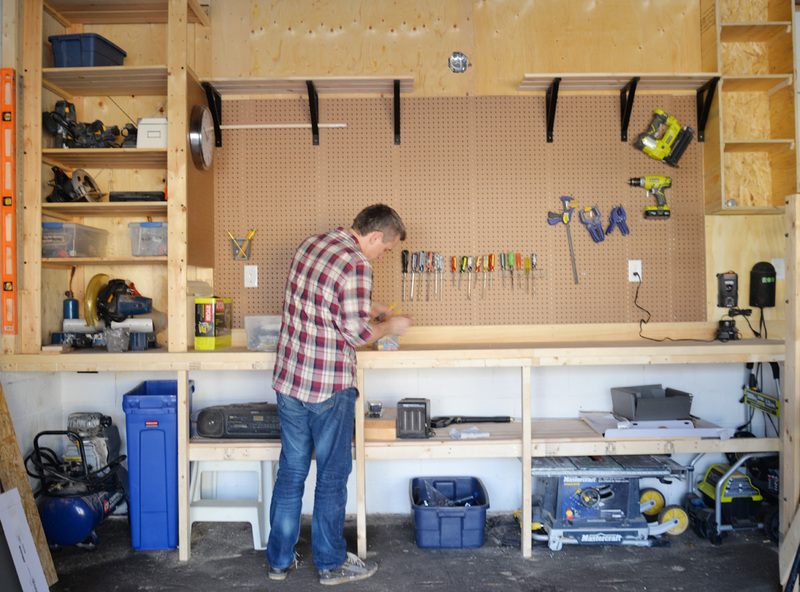 Every spare moment he's had the last few weeks, he's been out there building and organizing. 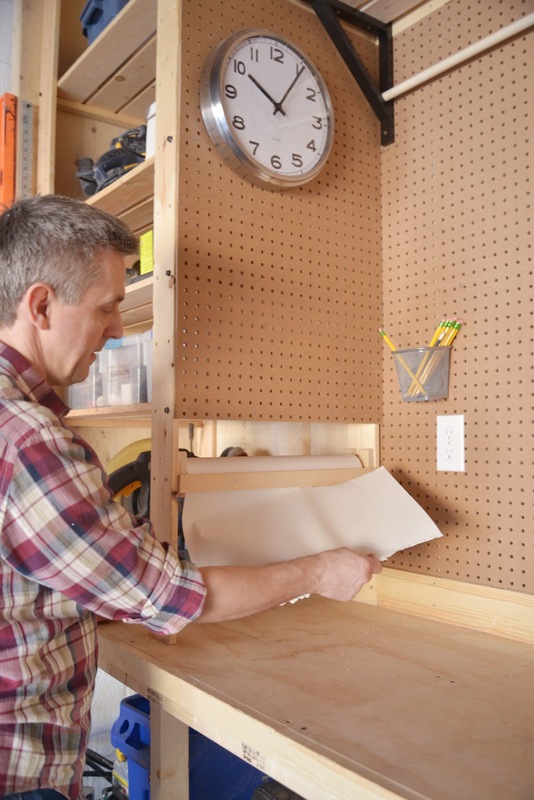 He has made DIY garage shelves, storage cubbies, and garage organization solutions that have this space functioning and looking good. 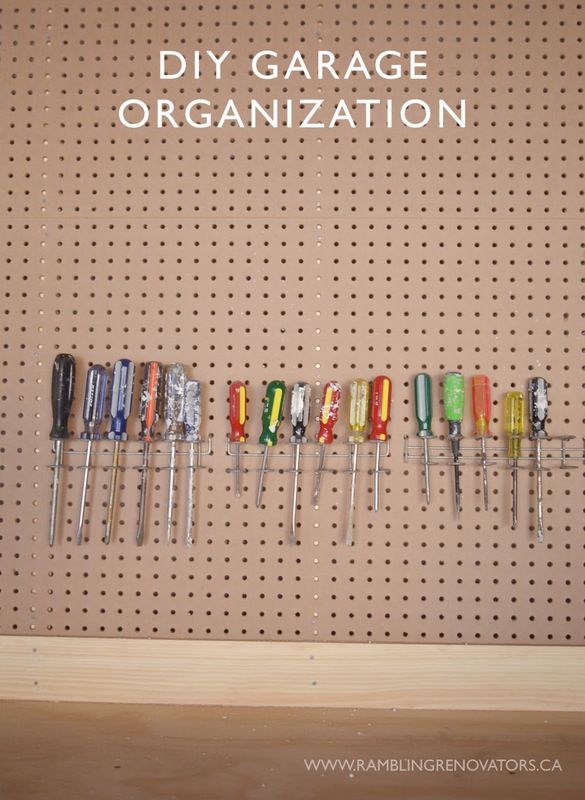 He's built a bespoke, customized solution where storage has been sized to fit our tools just right. Much like we did when we planned our kitchen, we first looked at what we had and then ensured we had a home for everything. 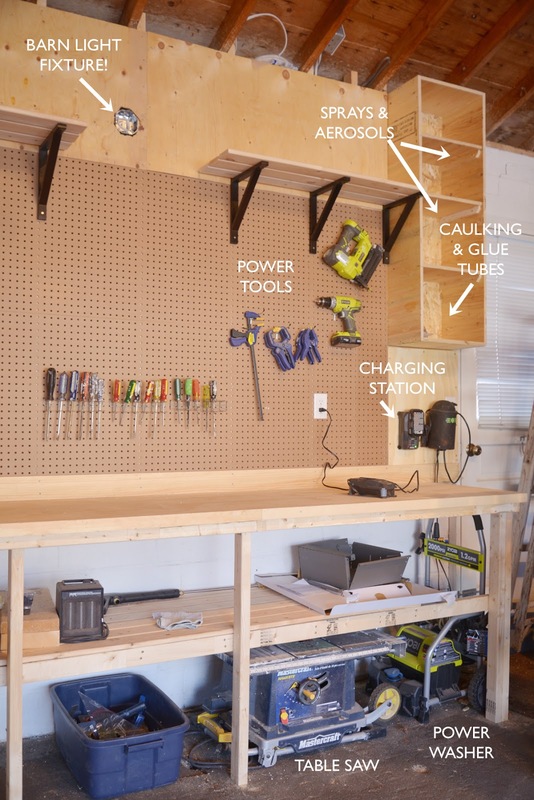 The under-cabinet shelf had to be high enough to store the table saw, air compressor and the like. Smaller storage for items that needed to be stored standing up like aerosol cans, spraypaint, and garden and cleaning sprays was built in as well. We took advantage of the high ceilings and added overhead shelving to store the long lengths of wood, dowels, and trim that seem to always be floating around the garage. My favourite touch is the drawing paper storage. Sean created a paper holder contraption out of a dowel, two moulding rosettes/corner blocks, and a flat piece of wood. The paper is from Ikea. Sean's always drawing plans and sketching ideas so this is a fun and useful addition. There's a few finishing touches still to go but this room is pretty much finished. First renovation in the new house is done, ha!